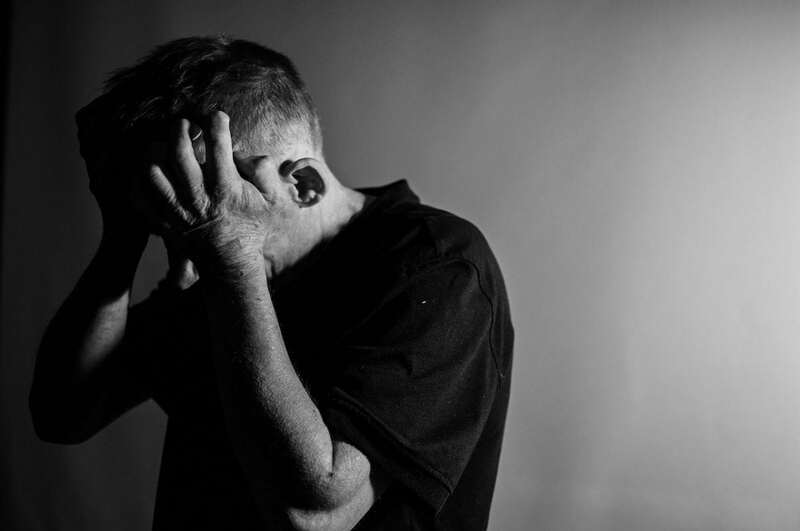 Depression, obesity, and chronic pain could be treated with new drugs after scientists found they are all linked to the effects of one protein. They have found a way to block the “FK506-binding protein 51,” or FKBP51 with a highly selective compound. FKBP51 plays a key role in human stress biology and contributes to major depression, obesity and chronic pain. The tests in mice found the natural compound relieved chronic pain and had positive effects on diet-induced obesity and mood. The new compound also could be used to treat alcoholism and brain cancer. Professor Dr Felix Hausch at the Technical University of Darmstadt, Germany, said: “The FKBP51 protein plays an important role in depression, obesity, diabetes and chronic pain states. “We developed the first highly potent, highly selective FKBP51 inhibitor, called SAFit2, which is now being tested in mice. Prof Hausch started the project when studies were published linking the protein to depression. He said: “I was intrigued by the peculiar regulatory role it seemed to play in cells,. “And there was a known natural product that could serve as a starting point. FKBP51 is expressed in multiple places throughout the body, such as the brain, skeletal muscle tissue and fat. and has multiple effects. For example, the protein can restrict the uptake of glucose and the browning of fat, so that the body stores fat instead of burning it. It also affects stress responses. He figured that blocking this protein could be the key to developing drugs to treat a variety of conditions. But FKBP51 looks a lot like its closest protein cousin, FKBP52. Prof Hausch explained: “These two proteins are very similar in structure, but they are doing opposing things in cells. “We have this yin-yang situation. Selectivity between these two proteins is thought to be crucial, but this is hard to achieve since the two proteins are so similar. 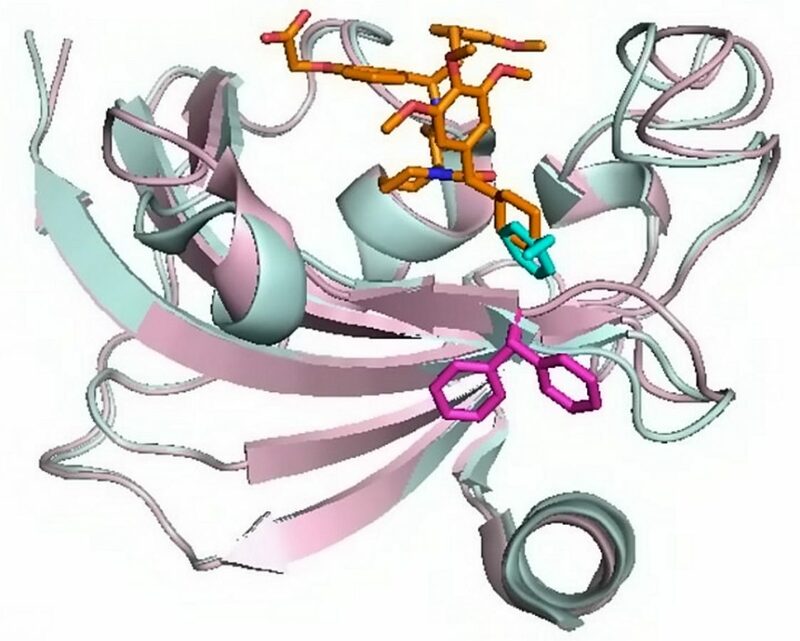 The researchers used nuclear magnetic resonance techniques to detect a previously hidden binding site in FKBP51. The approach could help other researchers identify similar “cryptic” binding sites in challenging drug targets in the future. In mice, SAFit2 reduced stress hormone levels, promoted more active stress coping, was synergistic with antidepressants, protected against weight gain, helped normalise glucose levels and reduced pain in three animal models. However much more needs to be done to get FKBP1 inhibitors to the point where they could be used as a drug molecule in human testing. But FKBP51 inhibitors are being tested to see if it can treat alcoholism and cancer. The findings were presented at the American Chemical Society (ACS) Spring 2019 National Meeting & Exposition in Orlando.